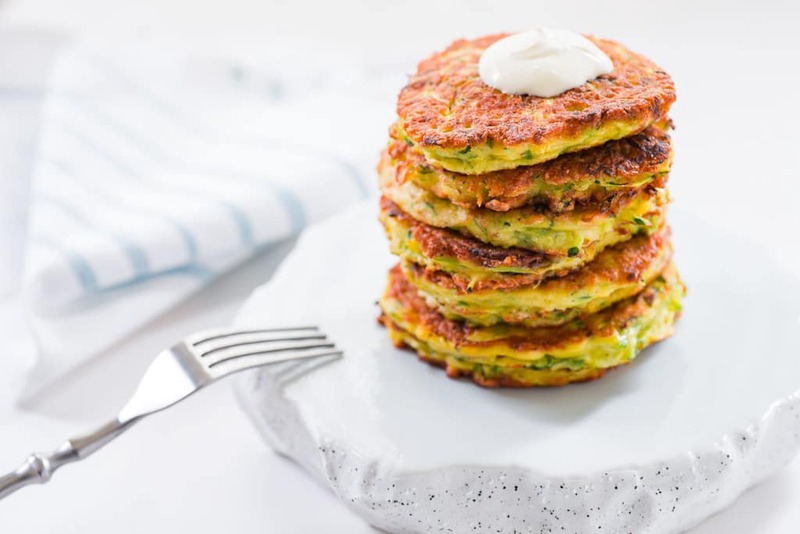 These fluffy zucchini pancakes with caramelized scallions and Gruyere cheese are tender, flavorful and delicious. Sometimes coming up with a great new recipe involves inspiration and ingenuity, other times it involves dumb luck, and then there are times where a recipe emerges from a silly mistake. Take these pancakes for example. 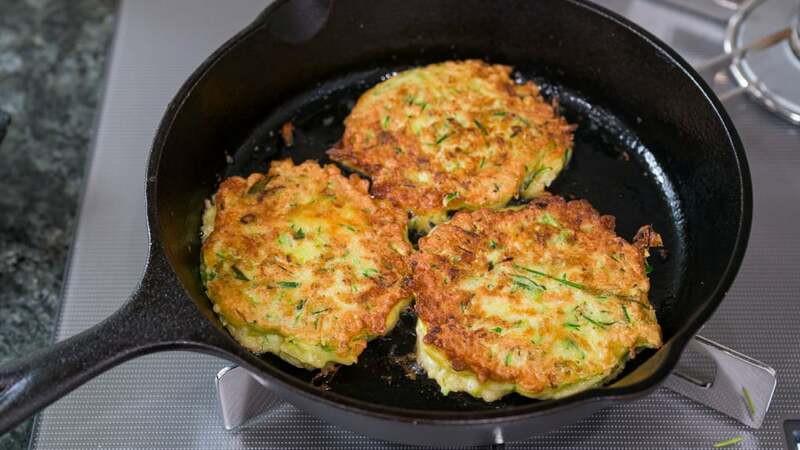 I’d intended to make a zucchini pancake with a crisp crust of browned gruyere and caramelized scallions on the outside and tender zucchini held together with a bare minimum of batter. I’m not sure if it’s the work projects I’m juggling right now, or the ensuing lack of sleep, but for some reason I thought it would be a good idea to add three eggs, to a batter that I wanted to be relatively dry. The moment the eggs landed in the bowl with the zucchini I knew I’d made a big mistake. I had a pourable green and yellow sludge that was about as likely to crisp in the pan as it was for it to stand up and start talking to me. Irritated and hungry, I was half tempted to toss the batter, but I hate to waste food, and so I decided to fry up what I had and call it lunch. By the time the first pancake came out of the pan, the intoxicating aroma of caramelizing cheese and onions filled the kitchen, and I was thoroughly famished. In my rush to eat one, I burned the tips of my fingers, skipping the spatula and stuffing one straight from the pan into my mouth. One bite, and my first thought was “this is the best frittata I’ve ever had!” Except, it wasn’t, it was a failed pancake that I’d almost condemned to the trash. The texture was light and fluffy and yet the pancakes were tender and moist. The scallions were sweet and fragrant, and the browned gruyere bloomed in my mouth with a nutty umami that almost seemed too good to be true. In retrospect perhaps the idea of making a crisp pancake with a juicy vegetable that contains no starch was misguided. As I go into my tenth year of food blogging, one lesson I’ve learned over and over is that whether in the kitchen or in life, sometimes our best ideas come from our failures. 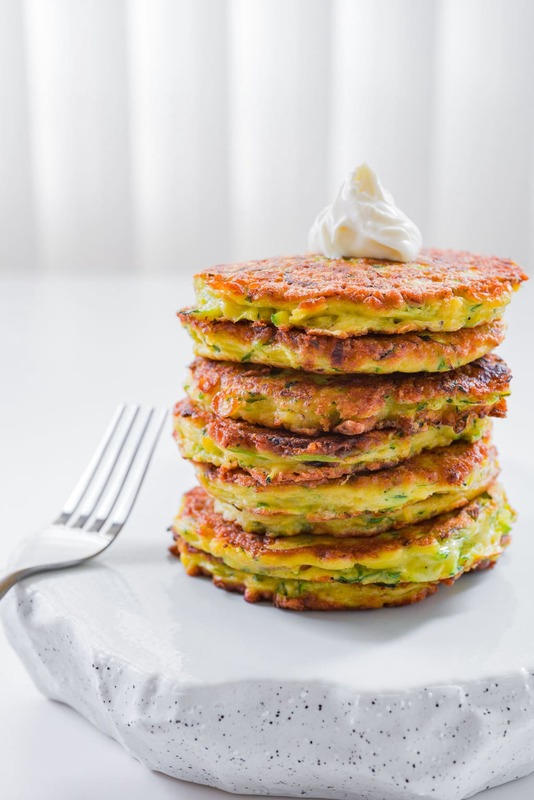 Perhaps at some point, I’ll attempt a crispy zucchini pancake again, but for the meantime, I’m perfectly content making these fluffy zucchini pancakes a regular part of my breakfast table! Beat the eggs together in a bowl. In a separate bowl, whisk the flour, baking powder, salt and black pepper together. Add the zucchini, cheese and scallions and toss to coat everything evenly with the flour. Add the eggs and stir to combine. Heat a heavy bottomed pan over medium heat until hot. Add 1 tablespoon of oil and swirl to coat. 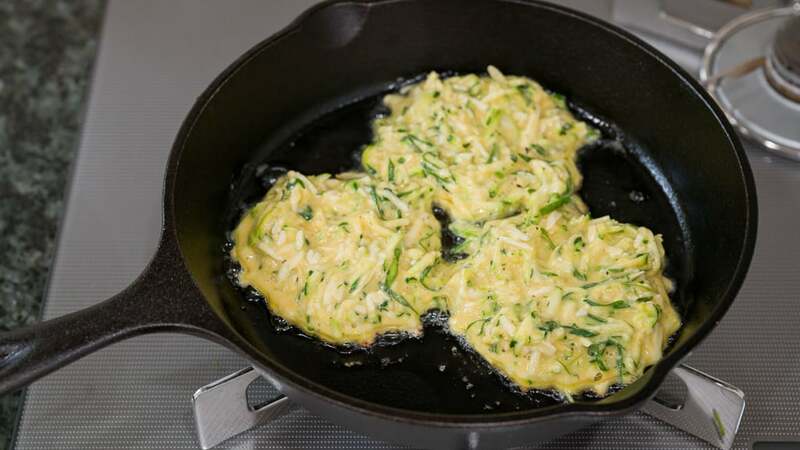 Add a large spoonful of batter to the pan and use the spoon to flatten the top and shape. Repeat until the pan is filled. Fry the pancakes on one side until golden brown and then flip and fry the second side until browned. Transfer the pancakes to a baking sheet and keep in an oven set to "warm" until you've finished making the rest of the pancakes. Just made this for dinner. Followed the recipe exactly and it was delicious! Hi Maureen, I’m so glad to hear you enjoyed these! 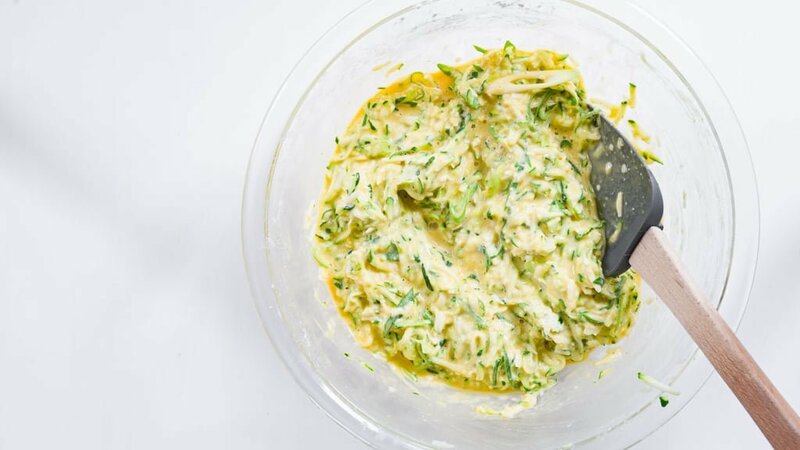 The recipe is pretty flexible so there are a lot of modifications you can make in terms of the type of cheese, seasonings (herbs and spices), and even the vegetable. Marc I do something similar but add spearmint leaf and dill to bring out the Mediterranean twist. I serve it with a squeeze of lemon. On the side some garlic sauce and tzanstiki sauce. Hum! Hi GodsWarrior7, great idea! I bet it would be good with some feta crumbled into the batter as well!